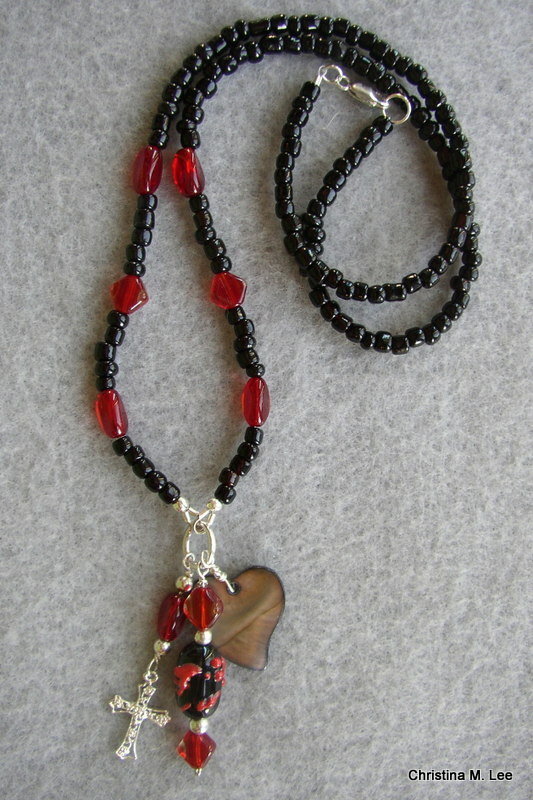 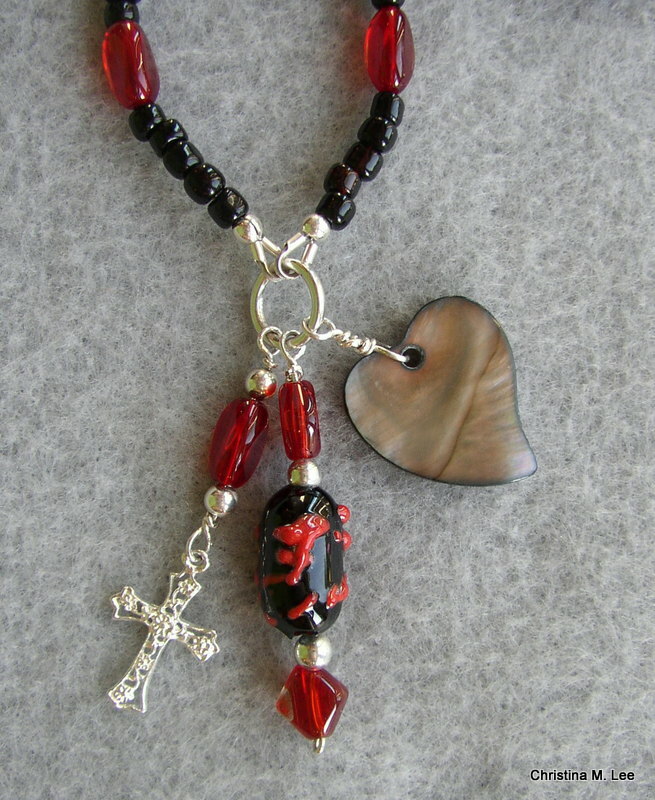 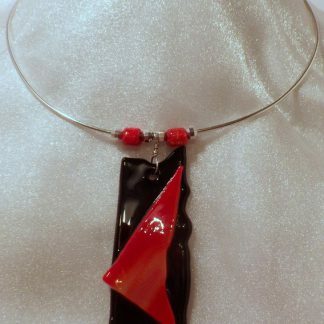 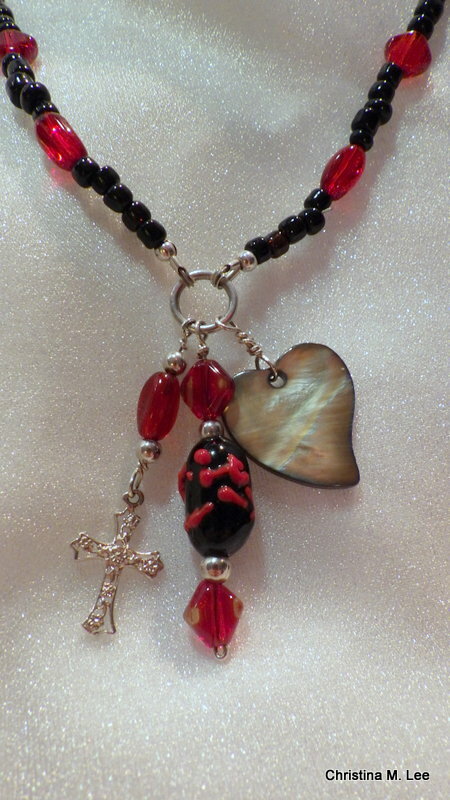 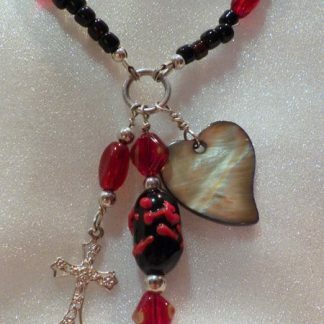 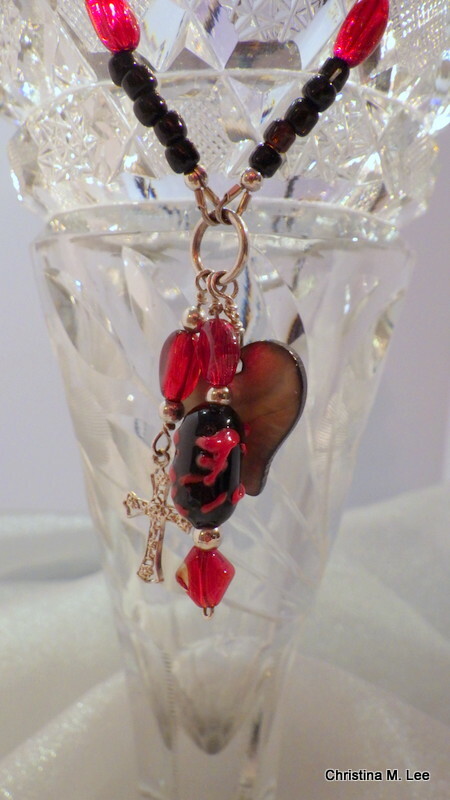 This Necklace has 3 Charm Dangles, one Dangle contains one of my handcrafted lampwork glass beads, black with red squiggles, one Dangle contains a Sterling Silver Cross, and the third Dangle contains a Shell Heart Pendant. 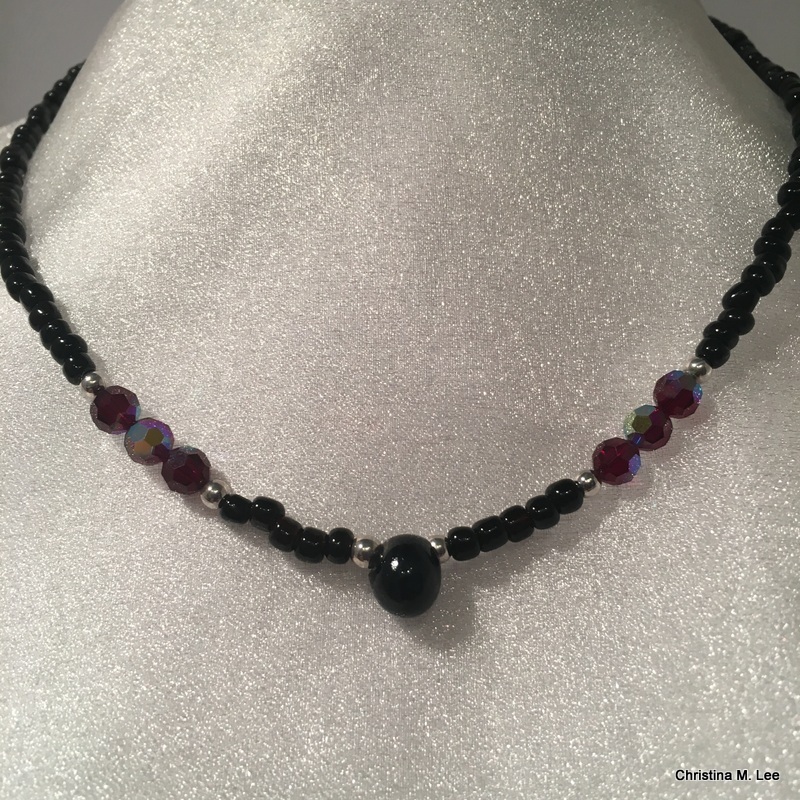 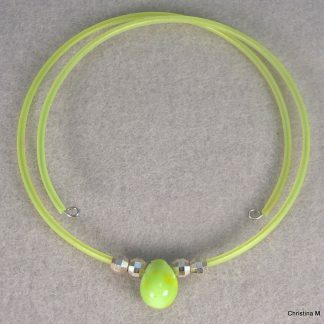 The Necklace is strung with Sterling Silver beads, and Circular Loop the dangles are hung from and Clasp are also Sterling Silver. 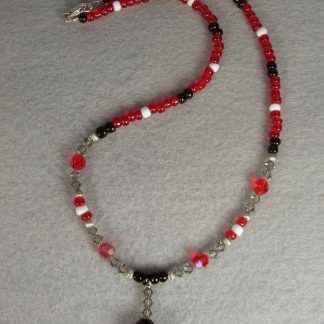 Necklace is 22 inches long. 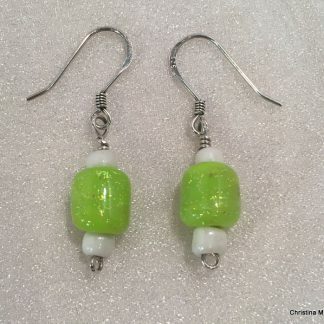 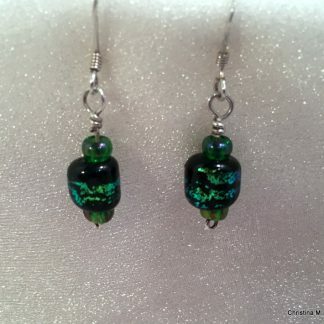 To create each lampwork bead I melt glass under a torch and form and shape it into a bead, creating an elegant a one-of-kind bead, therefore making this necklace creation of mine a one-of-a-kind. 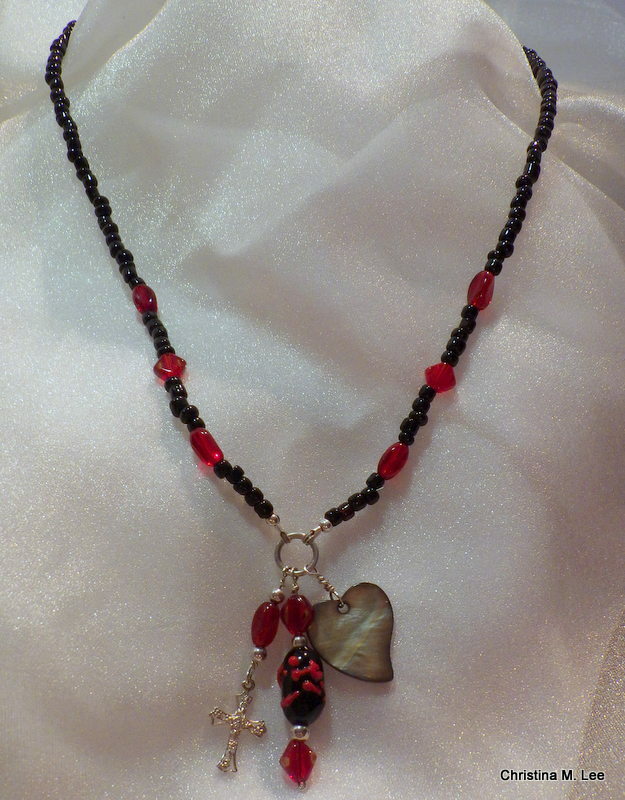 <—— Click on the pics to enlarge.